This glamorous and fashionable rose pink ring is the perfect upgrade to any outfit. 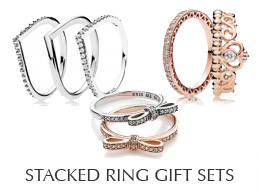 Stack it with other sparkling rings for a truly dazzling evening look. Ships today if ordered in the next 3 hours and 5 minutes! PANDORA Inspiration Within ring in PANDORA Rose™ with 88 pave-set clear cubic zirconias.